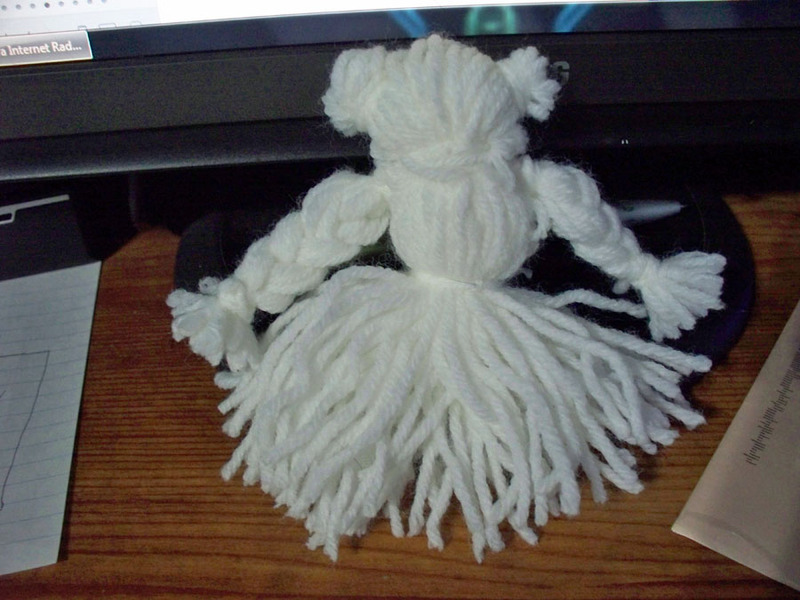 3) Yarn doll. This is the first one I’ve ever made. 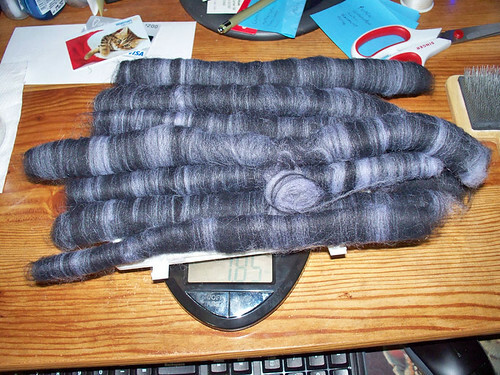 4) and the biggest, a stashgan using up all of the rest of the yarn. I did not plan it out, I just grabbed yarn as I went. I should have put the white between each color, but I thought I had more of the colors than I did. 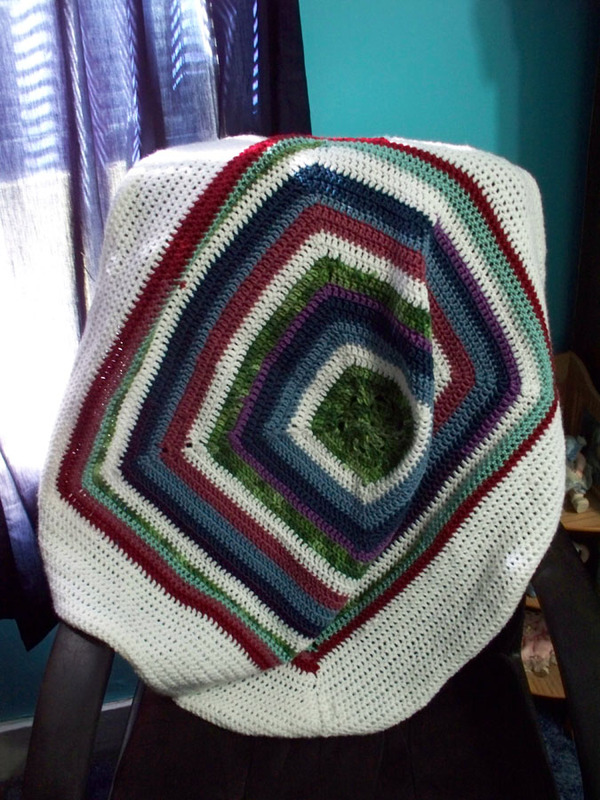 Either way, all the yarn is gone and I have a blanket. I currently have another blanket in progress. It’s about halfway done. Pictures to come when I get around to finishing it. 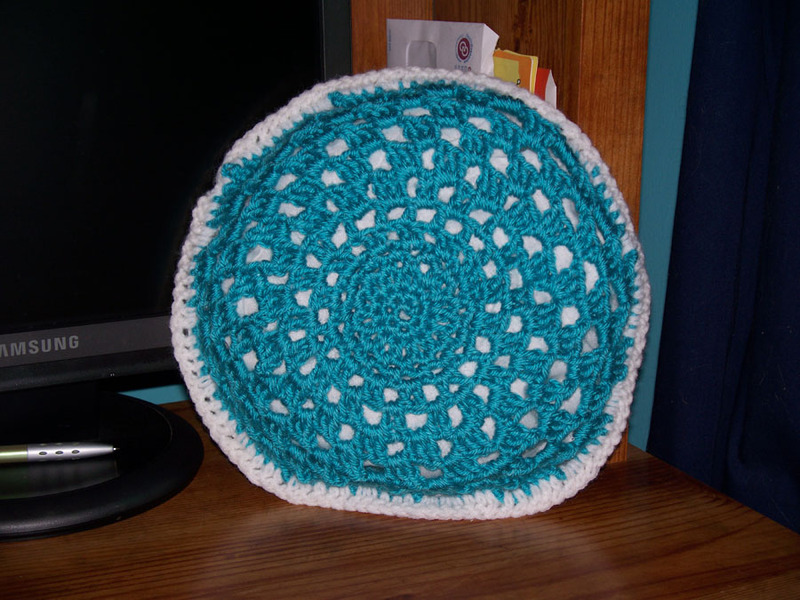 Now I just need to start working on my small stash of cotton yarn. 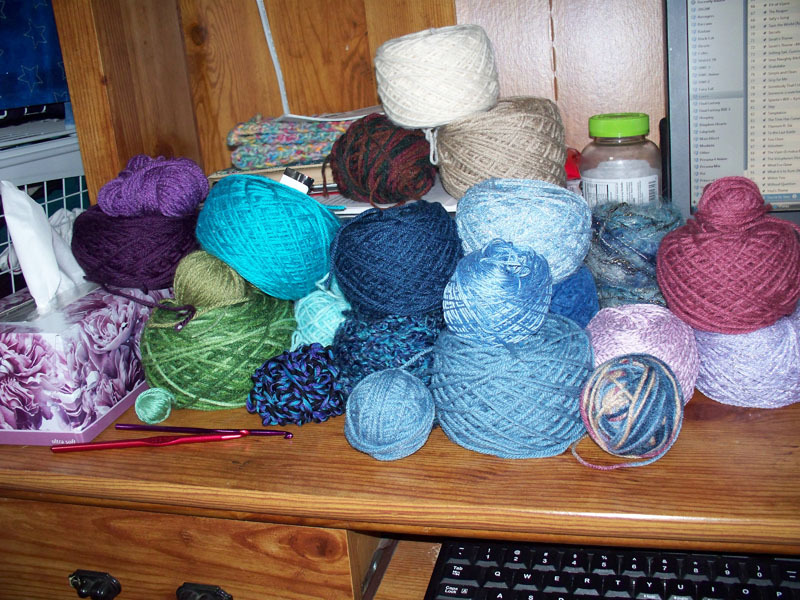 Still not quite sure what I’ll be making with that yarn yet. Next month I am going to the big Sheep and Wool festival in Rhinebeck, NY. It will be my first time going and I am super excited about it. It is also why I started working harder on trying to use up my current stash. 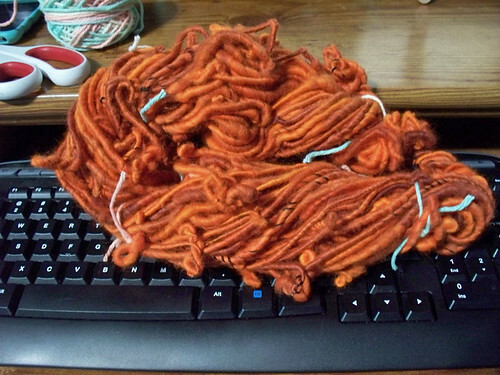 I know I’ll be bringing home more fiber to spin and yarn! I have also been playing with resin again. I found a couple of new molds to work with. I still need to do the finishing touches on them, so no pictures yet. Sick weekend = Crafty time! So I wound up with a cold on Thursday and because my breathing became a pain, I did not go to the gym for a few days. Instead, I stayed home bundled up under the covers and worked on some projects. I had been planning on making a shawl in hairpin lace, but I was not paying too much attention to what I was doing since I was teaching myself. 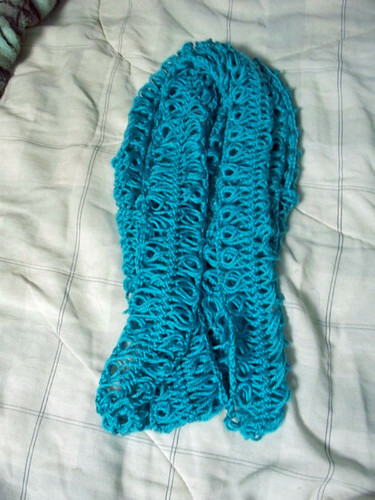 Instead, I attached all the pieces I had together and made it into a long scarf. 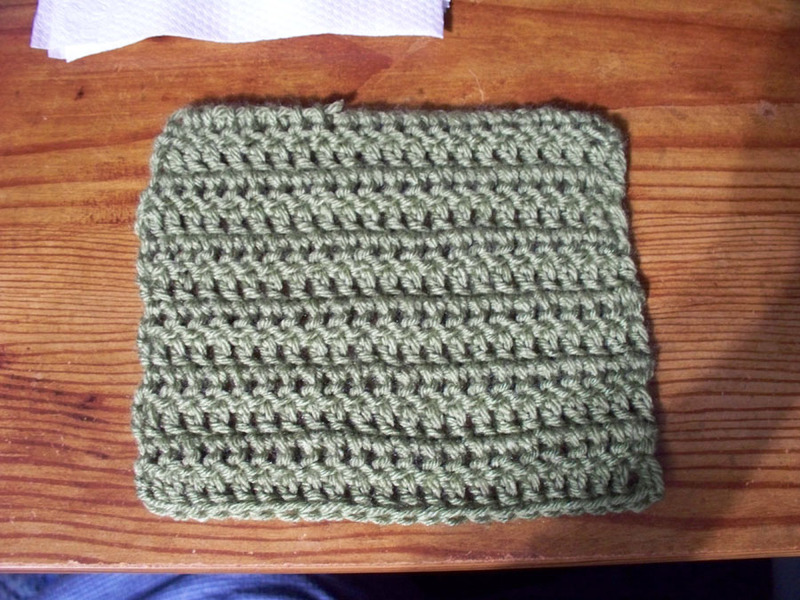 This is a washcloth that I started knitting last year but got distracted by something else and never finished. Now it is all done. 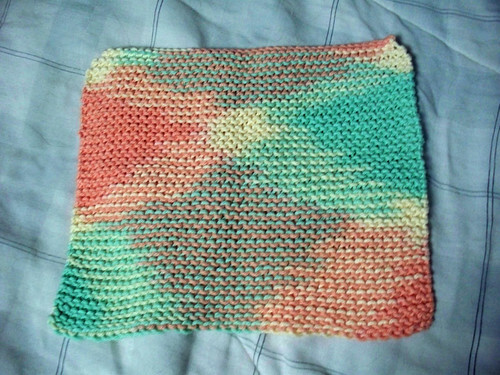 It is using Sugar n’ Cream cotton yarn. 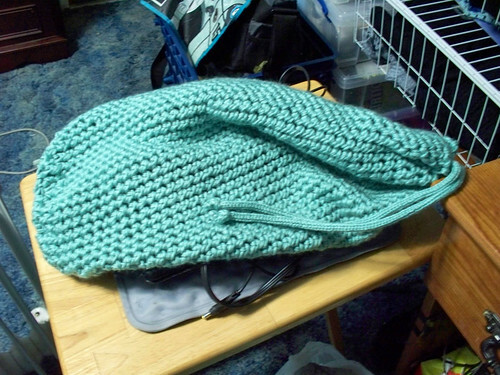 I used up two skeins of Caron Simply Soft (Eco) yarn to make this bag. It is good-sized, could hold a pair of shoes and other stuff since it will stretch. I have no idea what I’ll use it for though. 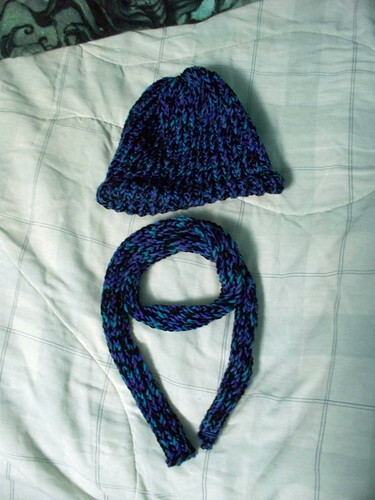 I then made myself a hat to match the scarf I made a couple of months ago and with the remaining yarn I was able to make a skinny scarf. 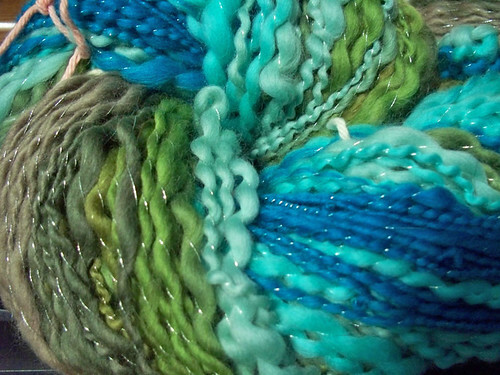 I love this yarn it is so soft! 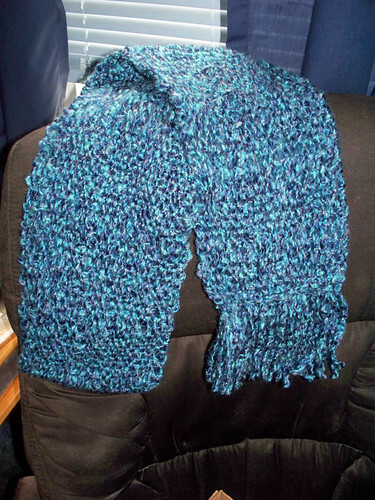 It is Merino 50 by Lang Yarn. I have a few other projects in progress but that is nothing new here. I’m back to going to the gym since I can breathe a bit better now so my crafting time is down a bit. I am going to work hard on using as much stuff from my stash as possible and only buy things if I need them to finish a current project. 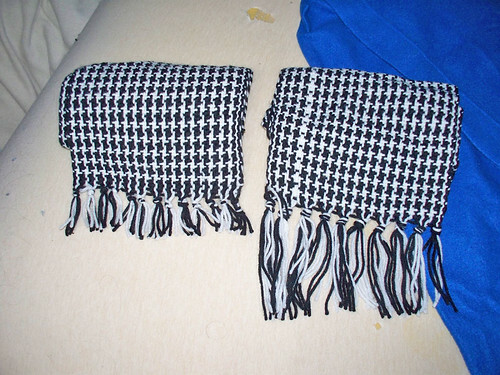 Three more scarves! Time to fill a box! 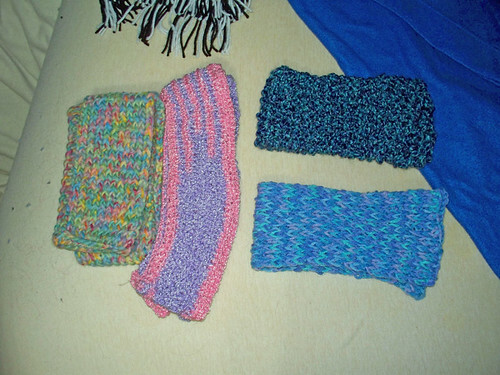 I have finished three more scarves already. I have found that I can finish one in a few hours so I could get one done a night if I don’t get distracted by something else! I am hoping to fill a box to donate to one of the shelters around my area so people in need can be at least a little warmer. 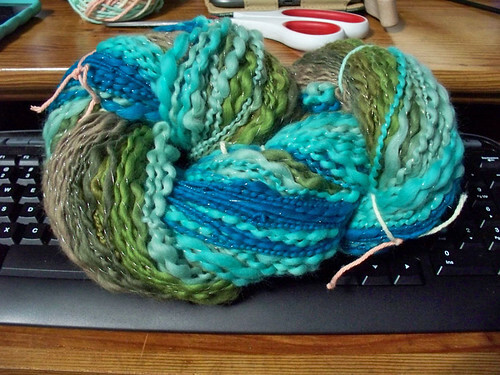 I have four more skeins of that green yarn left. That first blue one was slow going because the yarn was thicker than was meant for the reed I was using but it’s the only one I have at the moment. 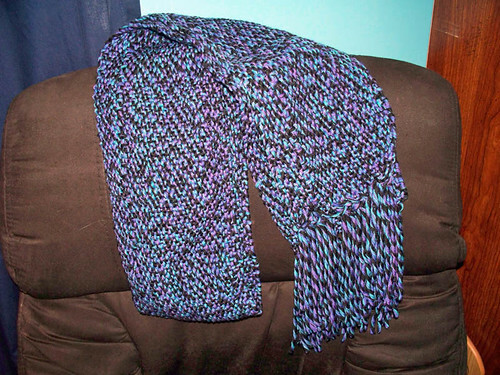 The Black/blue/purple one I did last night and have enough yarn left to make two more like it. After I get rid of this older yarn, I am going to spin more of my own up so I can weave with handspun to make an 100% made by me scarf! 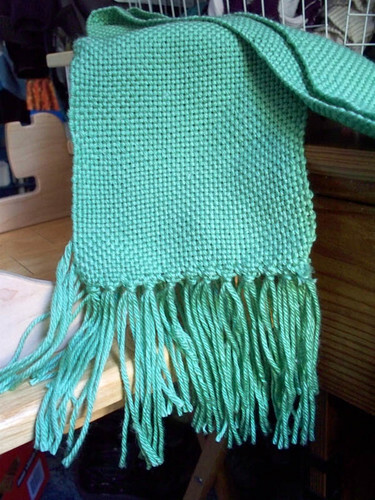 I’m really enjoying my Cricket loom and maybe I’ll get one a bit bigger (possibly the 25″ Flip).